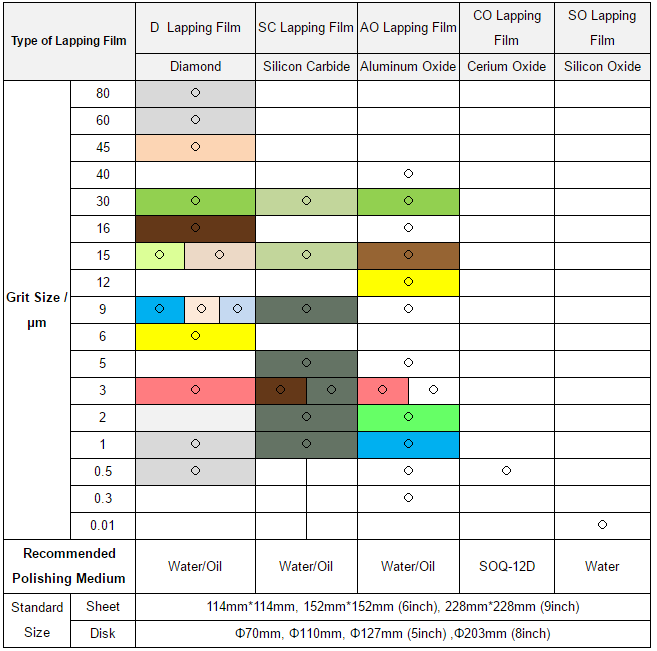 Hans Lapping Film is coated with precisely graded minerals (such as diamond, aluminum oxide, silicon carbide, silicon oxide, cerium oxide and so on) on the high strength polyester backing to provide a uniform, consistent finish.Available in 0.01-45micron grades, with or without PSA (Pressure Sensitive Adhesive) backing. Looking for ideal Oxidized Cerium Lapping Film Manufacturer & supplier ? We have a wide selection at great prices to help you get creative. All the Silicon Carbide Lapping Film are quality guaranteed. We are China Origin Factory of Silicon Oxide Lapping Film. If you have any question, please feel free to contact us.